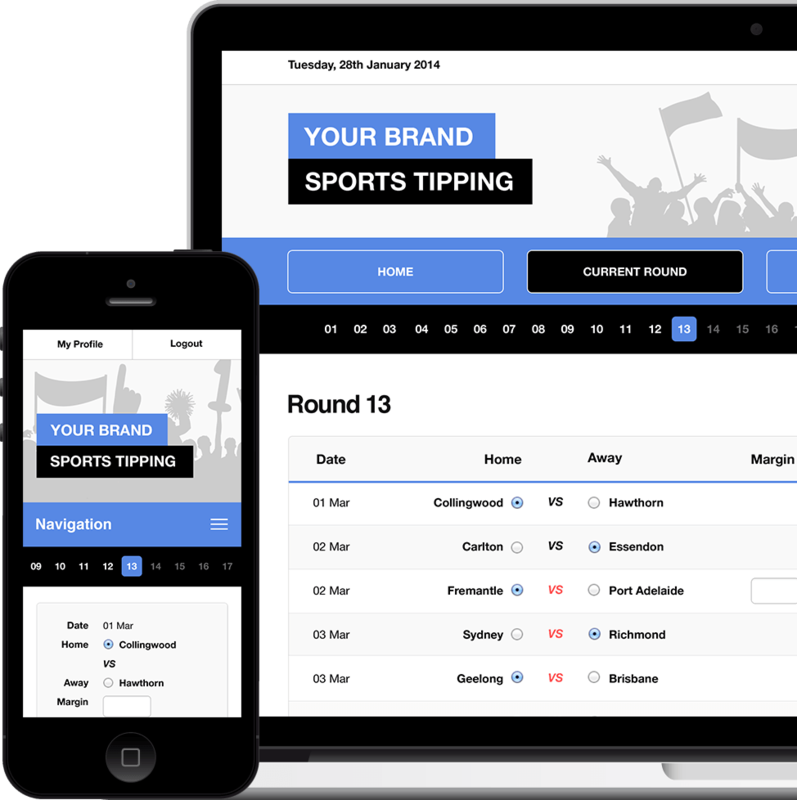 With over half a decade experience in deliverying tipping competitions to hundreds of thousands of tippers and some of Australia's best known brands our flexible and completely customisable solution is your best option for running a custom tipping competition on your website. We’ve catered for hundreds of thousands of tippers with clients such as Dodo, Local Liquor, ISGM, Statewide Cleaning Supplies and Superstock Food Services. 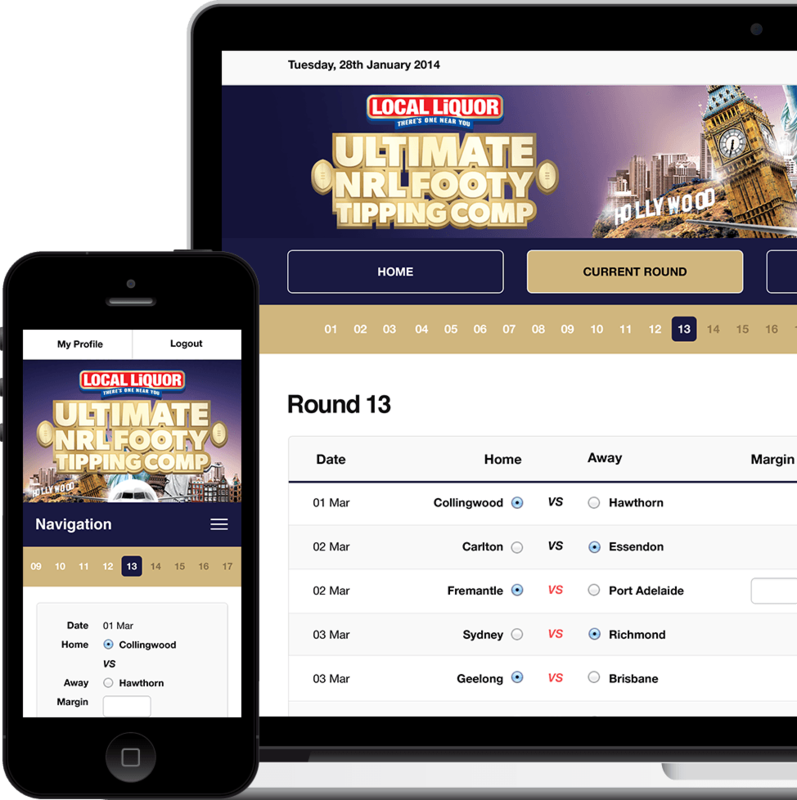 Change competition rules and settings including tipper registration form fields, registration closure, no tips point assignment, future tipping, etc. We cater for aussie rules footy, rugby, basketball, cricket, soccer, tennis and more. 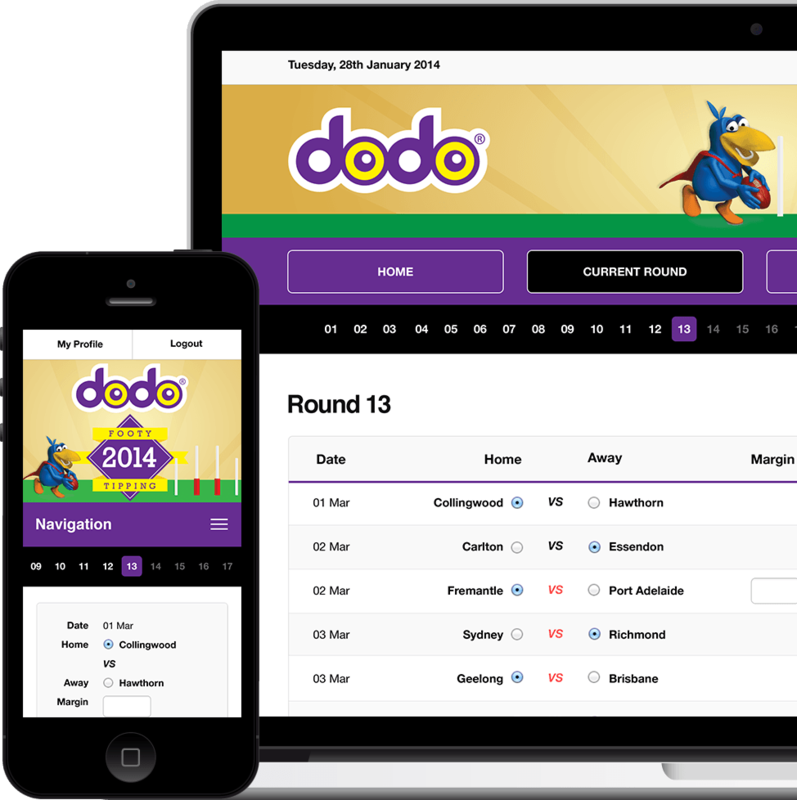 We host, enter results, remind tippers and email weekly tip standings leaving you to do the fun bit - distribute prizes! Works on all major web browsers and mobile devices including iPhone, iPad, Android & Windows Phone. Competitions for staff, clients, customers or the general public. Tipsters will see your logo and corporate colours as they tip (with additional design options available). As simple as adding a link to your existing website.